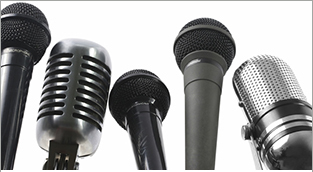 Media training workshops to help you prepare for the media interview whether it's a stand-up TV interview, as a guest on the network news channels, or facing the media horde during a crisis. The Media Are Swarming. Now What? A reporter calls you and says she is working on a story and would like an interview. Or, your assistant tells you there is a reporter outside – or several reporters who would like to talk to you. Or worse, something happens at one of your facilities and reporters and remote trucks are arriving. What do you do now? It's one thing to ask the questions; it's quite another to develop and then deliver those message points as the media spokesperson with clarity, credibility and confidence. At the Media Skills Workshop our training is based on actual experience doing both. All Media Skills workshops are carefully researched and meticulously crafted to your specific needs and issues, conducted at your most convenient location in small groups or in one-on-one executive training sessions. It's comprehensive media training with YOU in mind. Media Training based on 30 years experience as a reporter and as the media spokesperson - including crisis situations - with numerous appearances on the major broadcast and cable news networks. Don't wait until the media are outside your door because planning for the crisis event during the crisis is already too late. We offer media training from media 101 to crisis communications with programs based on 30 years of actual experience working on BOTH sides of the microphone. Media Training, Crisis Communications Strategies and Presentation Skills Training based on three decades of experience to help you prepare, survive and excel in media interview, and deliver more dynamic, confident, and memorable presentations. You will learn how the media operates, how to think like a reporter and plant the questions you want to answer, how to craft the communications agenda with effective and memorable quotes and soundbites, and then deliver YOUR message with greater clarity, confidence and credibility - whether it's for local or even national media. You will also learn media strategies that work and how to use the media as an ally versus an adversary. You will employ the techniques to help you overcome stage fright and any fear and intimidation of the reporters and cameras. After our media skills training you will find yourself actually looking forward to the media interview and perhaps becoming a regular "go-to" media guest when they are seeking a subject matter expert. Just imagine what that type of positive exposure could do for you and your organization! Our media training workshops – the most comprehensive in the marketplace today – will prepare you for the media interview - from the basic standup to standing in front of an array of reporters and cameras during a news conference in a crisis media event. We employ lively instruction (not lecture), class exercises, assorted video clips, and your videotaped interviews that focus on your specific issues. Whether it's in a group media training or executive one-on-one setting, you will learn how to develop and deliver media messages that work, how to handle hostile media, survive the ambush interview, and maintain control of the situation. 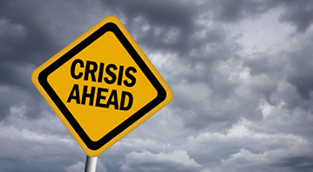 In our Crisis Media Training we teach you how to develop and implement your crisis management plan, control the message, and survive media crisis. Our programs have been developed and are taught by Michael Drake and other experienced media professionals. Michael has three decades of experience working on BOTH sides of the microphone-- as a reporter and news anchor asking the tough questions, AND as the media spokesman responding to reporters' tough questions, even in crisis situations. (Visualize a semi-circle of 56 reporters and TV cameras in front of you.) He has appeared in on stations around the country and around the world, and repeatedly on the major broadcast and cable news networks including CNN™, Fox News™, NBC™, ABC™, PBS™, and more. 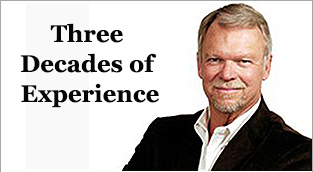 Learn the tricks and techniques developed from 30 years of real-world media experience from an experienced media coach. Over the years Michael Drake has helped my department’s staff, and me, become ever more effective in our communications with the media under all manner of circumstances. The skills with which he imbued us weren’t just for “media survival,” rather they enabled us to take almost any situation and make a positive impression when telling the public about what we do for them. Further, he taught our team how to present very technical subjects in understandable and meaningful ways to diverse audiences. I don’t give glowing recommendations easily, yet Michael Drake has earned a 10/10 in my book and I highly recommended him and his communication skills training courses. Check out our video library for more crisis communications training, media training techniques, and advanced presentation skills tips.